Pinterest is a social platform where users can save, share, and comment on photos of things they like. Their onboarding flow guides new users to share basic information, so they can start seeing pins that interest them right away. 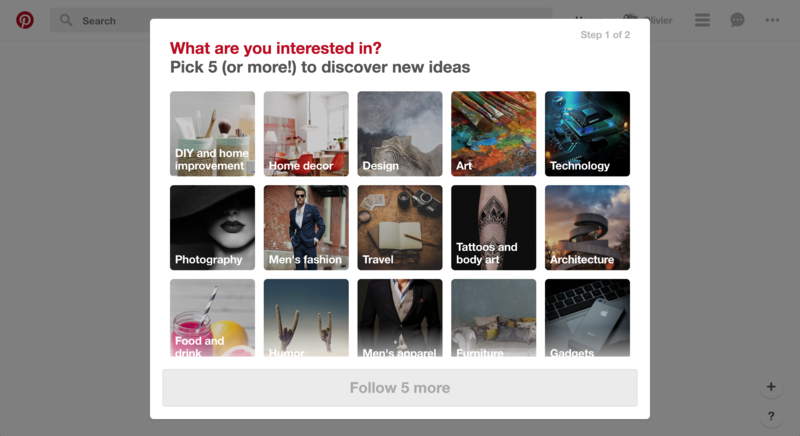 Pinterest drives users to its core value quickly by having users select the categories that interest them most. 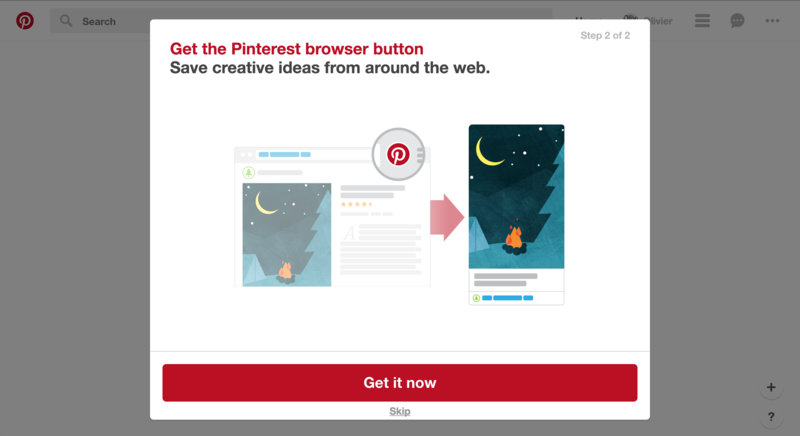 By incorporating their browser button in the onboarding flow, Pinterest makes sure users get value from the app even when not directly logged into the social platform's website. 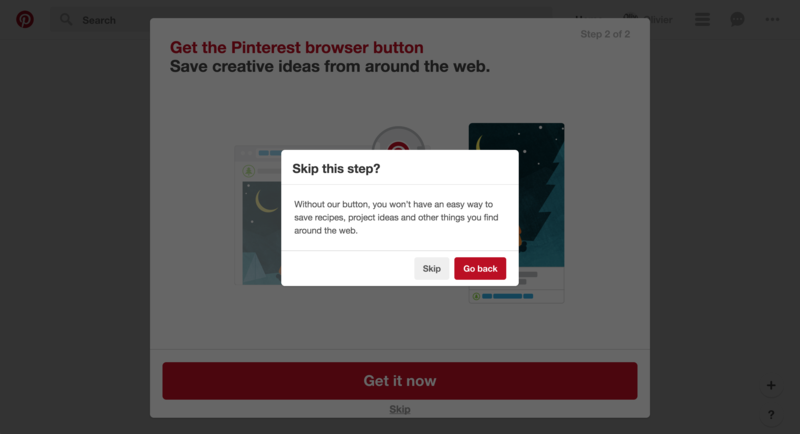 When users click to skip the addition of the browser step, a modal explains the value users will be missing out on without it.